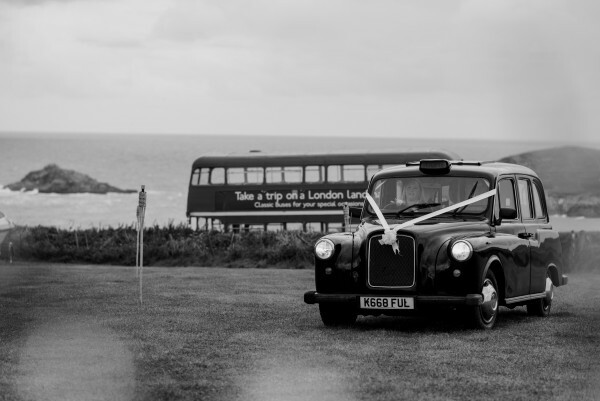 Today we are delighted to share with you Sarah and Nick’s sea view marquee ceremony. Sarah and Nick moved to Cornwall a few years ago. 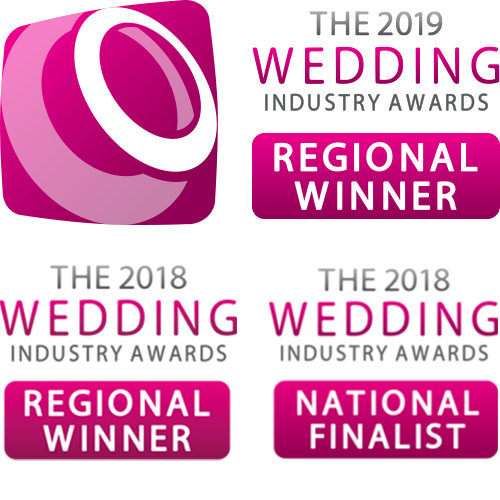 When we first met, they made it really clear to us from the word go, just how important it was to them to have a relaxed and friendly feel to their wedding day. When they told us which venue they had chosen it made perfect sense. 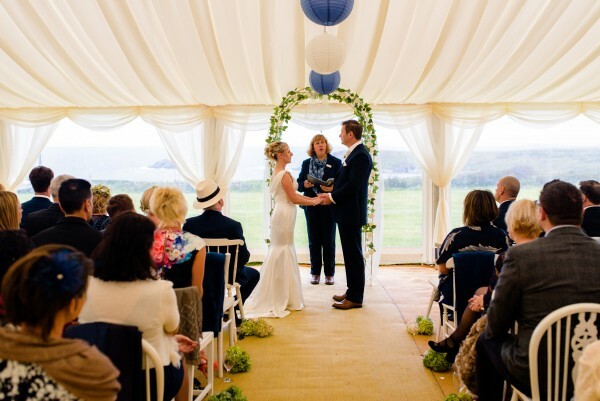 They had chosen a marquee wedding venue, Cornwall Marquee Venue at West Pentire, Crantock. We knew it would work wonderfully with what they wanted for their day. It had stunning sea views and plenty of space for guests to explore. All of their guests were invited to stay for the whole weekend, which allowed them to really enjoy the celebrations, have more time together and socalise. It was a truly wonderful group of friendly guests who all had plenty to do over the weekend, as the couple had ensured there was something for everyone. The highlight of the weekend was, of course, the wedding day. When it came to the day itself the weather decided to take a turn for the worst meaning that the ceremony needed to take place inside their marquee, rather than outside as originally planned, but this didn’t dampen anyone’s spirits with the guests arriving in a red London double-decker bus. 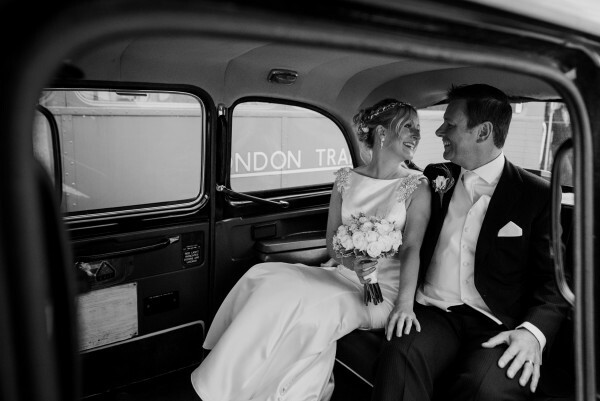 Sarah, the Bride, arrived in a London Taxi, which braved the soggy ground from the road to the marquee. Due to the wet weather, it needed to make a couple of attempts to get up the slope to the marquee but it made it! 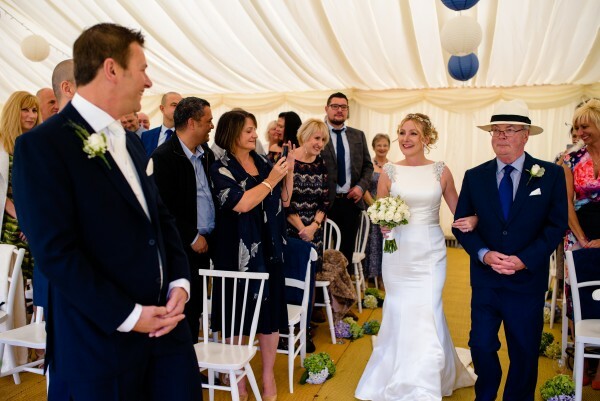 Their ceremony was beautiful and relaxed, it included a memorable speech and song from one of Sarah & Nick’s oldest friend’s – Ian, which had everyone laughing! We were really touched to receive an email from Sarah & Nick after the ceremony:.